A mix of imaginative prose and poetry from acclaimed author Neil Gaiman. Gaiman cannot quite make it through the book’s introduction without lapsing into a story, a parable about cartography meant to illustrate that one cannot describe a story without telling the story itself. 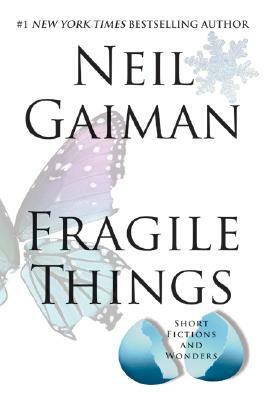 And as he recounts the origins of each work in the book, it becomes clear that just about everything Gaiman comes into contact with inspires him to write … Many of the protagonists in Fragile Things are themselves inveterate storytellers. 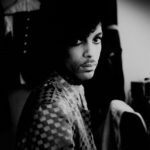 They are fantasy writers, journalists, drifters posing as anthropologists, and they don’t like it when their narratives are forced to yield to other people’s tales — which, in a Gaiman story, happens almost all the time … The most compelling entries in Fragile Things return to the mysterious subject of artistic inspiration. Fragile Things is a delightful compendium rather than a straightforward story collection, but it's a fine sample of the author's versatility. Gaiman writes in different registers: comedy, satire, pastiche, deadpan, lyrical or whimsical, but almost invariably dark. It all depends on whichever sooty, fantastic spirit drops down the chimney of his Minneapolis writing room on any given day … Gaiman's talents and interests lend themselves — perfectly, in fact — to the short form, and there are gems in this collection … One of the pleasures of Gaiman's stories is how often they announce that ‘this is a true story’ or that ‘this happened to a friend,’ though the book's introduction never confirms that any of these things actually happened. But you don't care because the story has already entered the chain of fairy/folk/urban tales, and the vulgar truth is merely academic. It's a hodgepodge of material, containing everything from a pastiche of both Arthur Conan Doyle and H.P. Lovecraft to a shared-world story based on the first Matrix movie … Readers who expect Gaiman to adhere to the styles and subjects he's used before are likely to have a mixed reaction to Fragile Things. Those with a taste for inventive idiosyncrasy will find themselves amply rewarded. What did you think of Fragile Things?